You are here: Home / Media Center / Oil – Beyond geopolitics? The peak may be behind us. A number of the drivers underlying recent oil price strength could diminish in strength or reverse. A currently elevated geopolitically induced risk premium might shrink once actual market flows become clear. Financial positions might shift towards a less bullish stance. 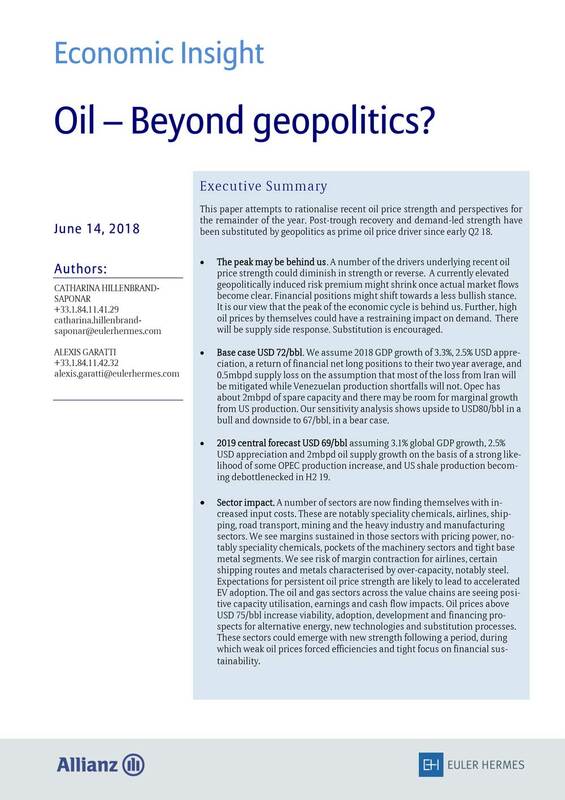 Further, high oil prices by themselves could have a restraining impact on demand. There will be supply side response. Substitution is encouraged. Please fill in this form to download the publications. All our documents are available for free.